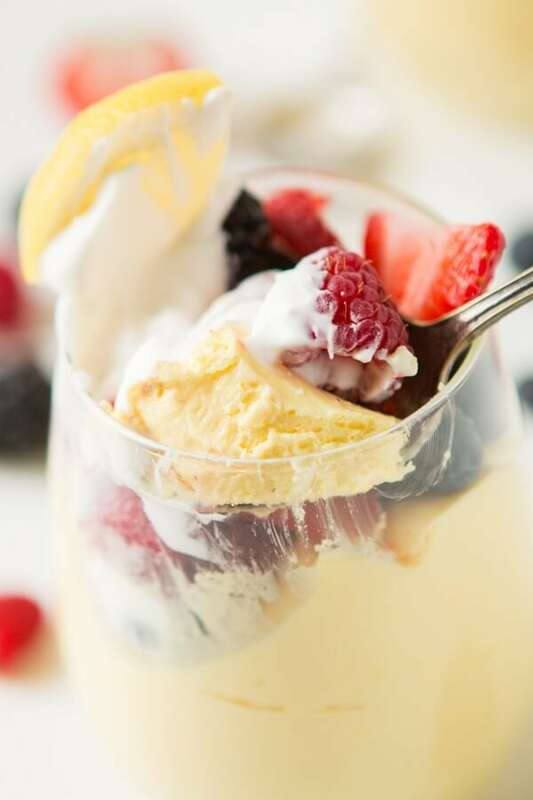 Bright and tart, creamy lemon cheesecake mousse cups with fresh berries and whipped cream are the best dessert to serve up all spring and summer. 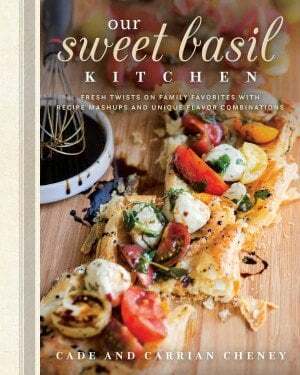 When we were writing our cookbook we wanted to reinvent some of the old classics that have gotten lost in the quick paced world. 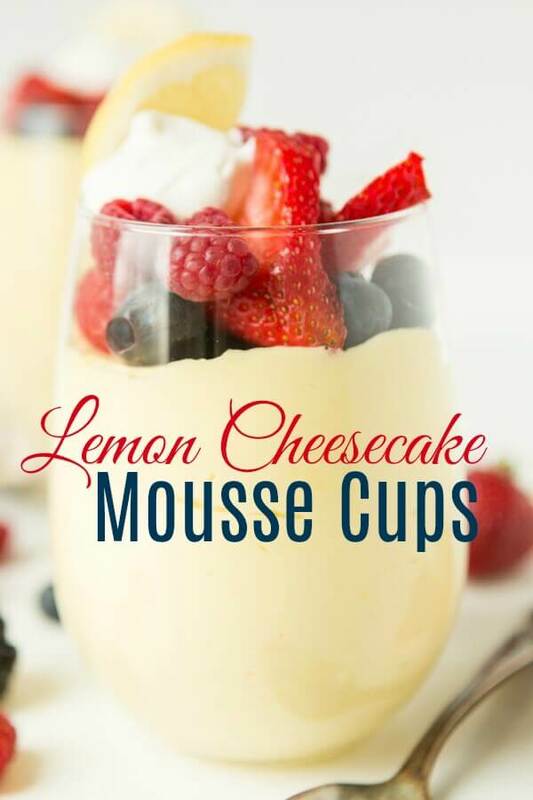 Everything is semi homemade, quick recipes and although this lemon cheesecake mousse cups recipe doesn’t take hours and hours of standing at the stove it does take more effort than cake mix cookies or no bake pie. But never fear! 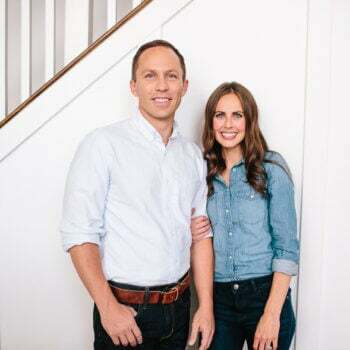 You can do this and you will not only be so thrilled with the results but your guests will too as they look so pretty. 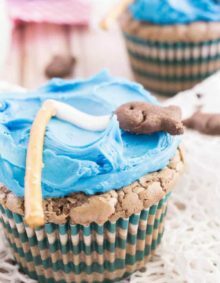 I love pretty desserts. 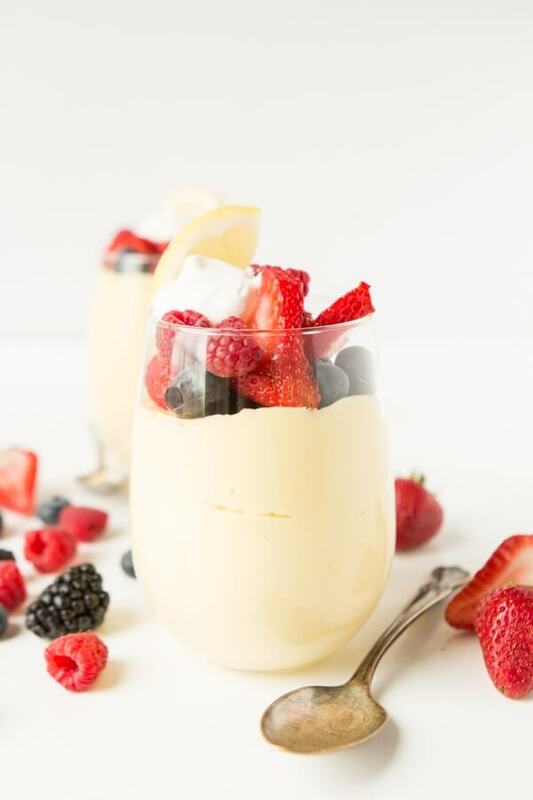 The look makes you feel kind of fancy even if it is just mousse with berries on top. Your first step will be to make the lemon curd. We love lemon curd and prefer to make a double batch so we can have a little extra for other recipes or spoonfuls from the fridge once the kids go to bed. What? You know you do that too. Lemon curd is really easy, cook lemon juice and sugar, beat eggs, whisk the two together and then simmer until thick. Finally, stir in butter because that’s what turns it into liquid gold, eat a little warm and then store the rest with plastic wrap pressed down onto it in an air tight container in the fridge. Oh, and head back to the pot to dip strawberries and lick it clean. Man, #fatpants are becoming my new best friend. 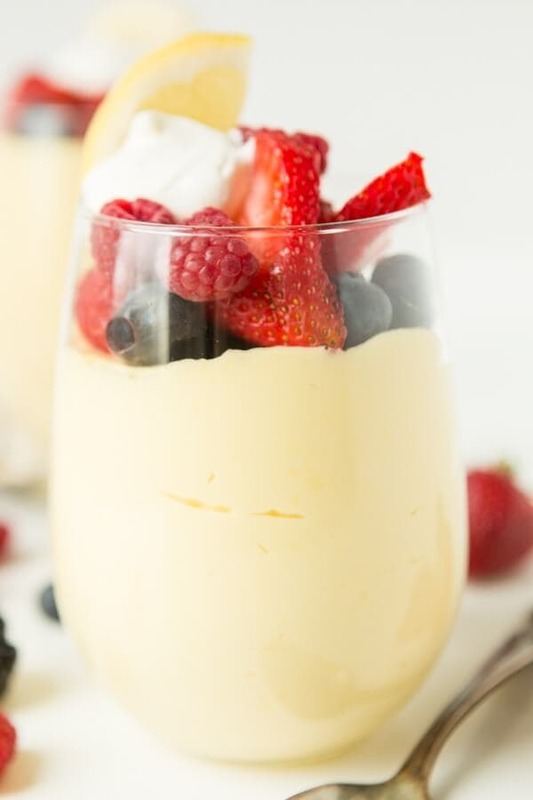 The mousse is equally easy, whipped cream cheese, stir in the curd and powdered sugar and add a little food coloring to make it really pop. Beat in gelatin and fold in whipped cream. Pipe this all into jars or cups and let the whole thing set up in the fridge. 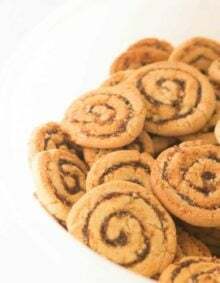 I make them a whole day ahead of guests coming over so that I have one less thing to worry about. I also like to serve with fresh fruit and whipped cream to break up the tart flavor. 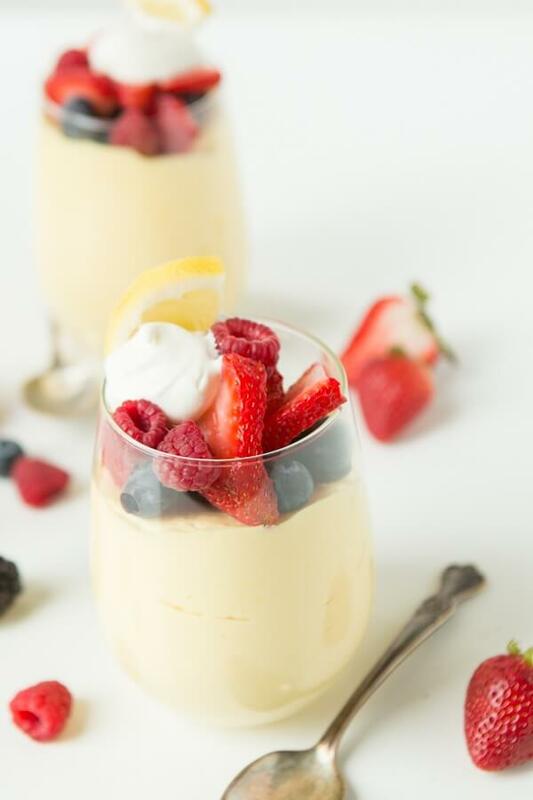 It’s all kinds of wonderful and using the lemon curd instead of pie filling and fresh whipped cream instead of cool whip really makes these lemon cheesecake mousse cups wonderful in all the right ways. ½ Lemon, sliced and quartered for garnish. !For the lemon curdIn a pot over medium heat, add the lemon zest, juice, sugar and salt. Cook until the sugar has dissolved, about 5 minutes. In a bowl, beat the eggs and egg yolks until pale in color, about 1 minute. Add a little of the lemon mixture to the eggs while whisking. Add in all of the juice and continue to whisk until smooth. Place the mixture back in the saucepan and cook over medium heat for 5-8 minutes, or until the mixture coats the back of a spoon and is thickened. Remove from heat and press through a mesh strainer over a clean bowl to remove any tiny pieces of cooked egg. Quickly stir in the butter. Fill a container or bowl with the curd and press plastic wrap over the top. Store in an airtight container with plastic wrap for up to 2 weeks. 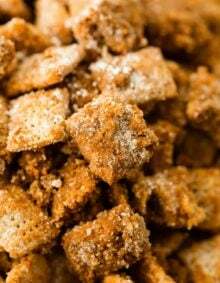 !For the mousseIn a medium bowl, beat the heavy cream into stiff peaks, add ¼ cup powdered sugar and beat again to incorporate the powdered sugar. In a bowl, using a handheld mixer, beat the cream cheese until smooth. Add in the lemon zest, lemon curd and ¾ Cup powdered sugar and beat again until smooth. In a small bowl, add the lemon juice, water and sprinkle the gelatin over the top. Let sit for one minute. Microwave the gelatin for 25 seconds and then allow to sit for 2-3 minutes. Beat the gelatin into the cream cheese mixture. 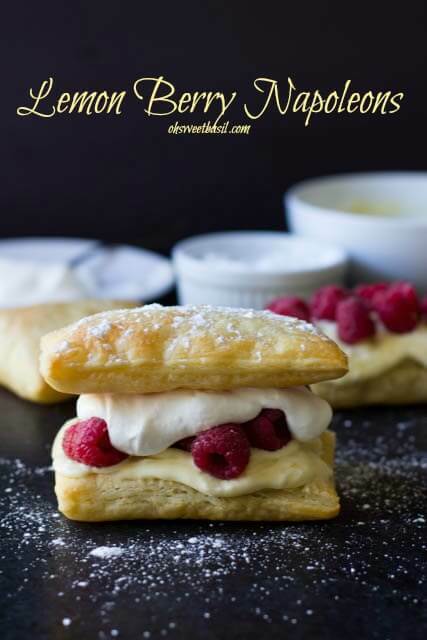 Fold in half of the whipped cream and pipe into serving dishes. Place in the fridge for 2 hours or up to overnight. Reserving the remaining whipped cream in the fridge for garnish. 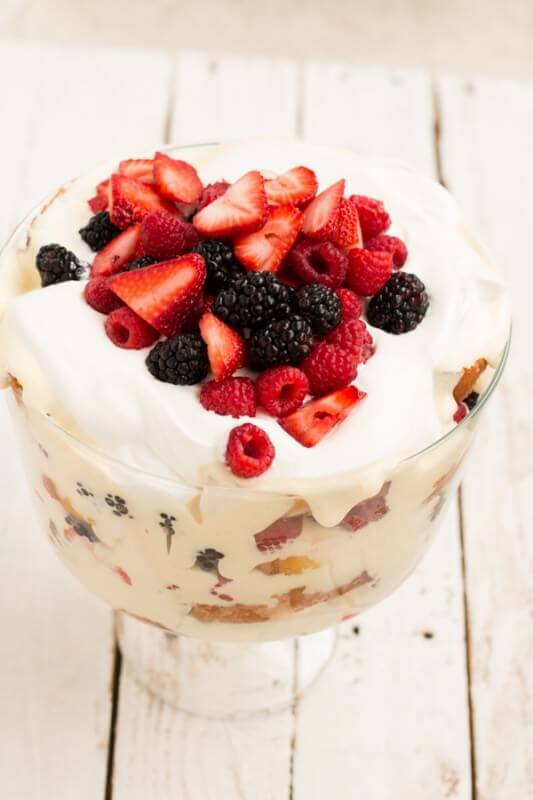 For serving, pile the top of each dish with fruit, give the whipped cream a good whisking again and dollop each dish. 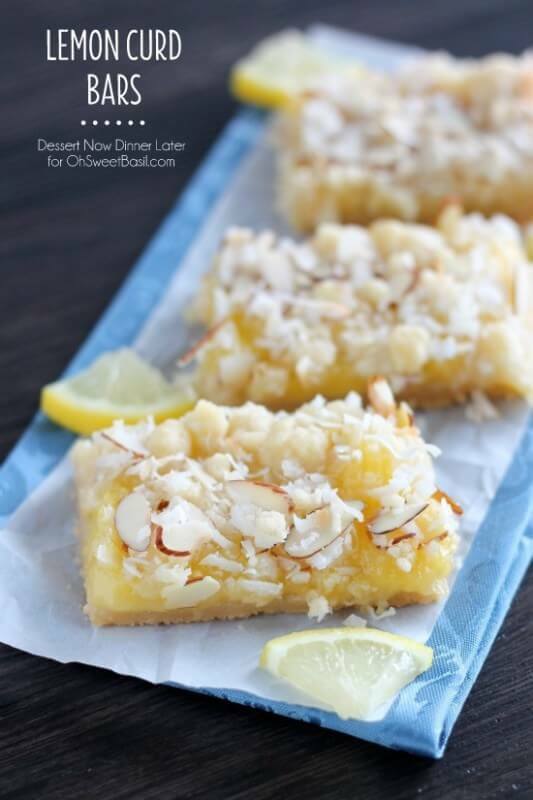 Add a lemon wedge and serve immediately.